GN designed GNCD930 vertical cutting dryer is already finished and tested in the field. Its specs is similar with CSI cutting dryer WSM-04. Its rotary speed is 890rpm, and processing rate is 30~50tons per hour( actual data). Max bowl diameter is 930mm. Daily inspections should be made at start-up until a permanent maintenance schedule can be set up. Once a schedule has been established, only routine inspections and general observations will be necessary. Basket is not wear part, unless its damage caused unbalance, you do not have to replace it before that. it is important to always　maintain flite to screen clearance，it is critical to the proper machine performance. 3 It is very important to inspect the condition of the rotor at every screen change. 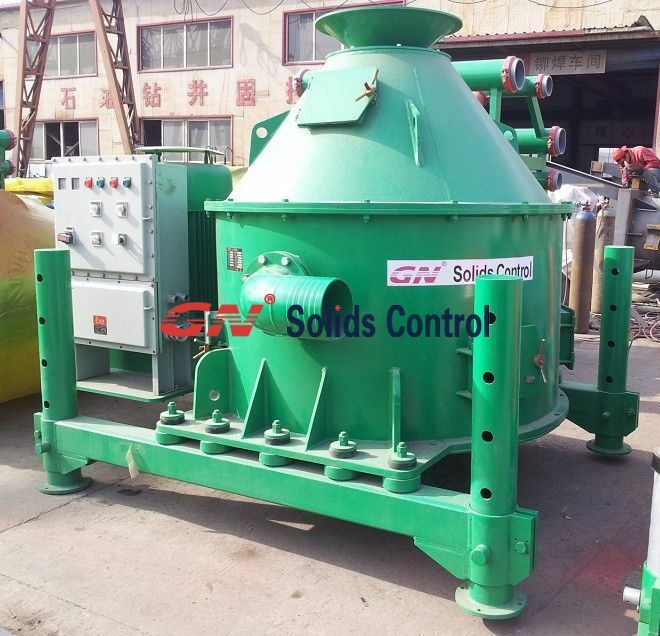 This is necessary as the rotor is the connecting member between the external drive shaft and the basket, and is one of the members which is subjected to normal abrasive wear by the product. Except for the motor bearings, which are grease lubricated, all bearings are oil lubricated. A direct driven gear pump, mounted along the outer base, circulates oil through the gear unit and overflows to the outer external shaft bearings. The oil should be changed every 1600 hours of operation or every three months, whichever occurs first. To change oil, drain oil from the gear unit and drain pot. Should the filter cartridge become clogged or near so, excessive vacuum will be indicated on the gauge. If, when the machine is warm, 15 inches of Hg. are indicated, the filter cartridge should be changed. We will get a field test report for our vertical cutting dryer and recommend better maintenance to improve its performance. Welcome to contact GN for more info. That is the best weblog for anyone who needs to search out out about this topic. You understand so much its nearly onerous to argue with you (not that I actually would need…HaHa). You definitely put a brand new spin on a topic thats been written about for years. Great stuff, simply nice! What oil is recommended for the WSM-04?